This entry was posted in canada immigration Visa and tagged Business and Economy Canada Canada Immigration Canada Visas Immigration Immigration to Canada Migrate to Canada settle in canada Student Visa for Canada visa for Canada Visa News on September 27, 2013 by Blog Author. Have you ever considered a move to the prosperous, fast-paced country of Canada? Canada offers unlimited potential and opportunities. With a very high standard of living, Canada is one of the richest countries, and getting richer. For those looking for an adventure in life then nothing could be more exciting than the opportunities offered in Canada where the quality of life is high and the rising wages also. Canada’s average wages are higher than those in most of Europe, UK and the USA. Whether you are newly qualified, or if you are looking to expand your career to another country, then you couldn’t pick a more welcoming and beautiful country than Canada. Job opportunities are plentiful in a vast array of areas from Toronto to Edmonton and these opportunities have continued to develop, creating a wide range of job opportunities to foreign workers. 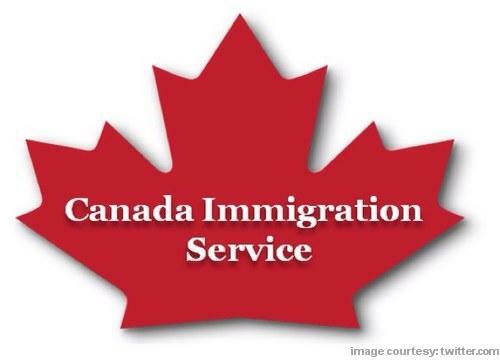 Why not visit Canada’s official website at cic.gc.ca and find out if you are eligible for one of the many visas. Here you can find information on the vast range of jobs on offer and information on the Canada immigration processing time. Also, find information on local areas, test yourself on the Canadian Citizenship test or immerse yourself in the Canadian history. Find out how to make and application. Her you can check Canada Immigration Points, Immigration rules and Immigration news. You can access the Canada Immigration form to begin your application. There are forums available online where you can chat with others who have taken the plunge and moved to Canada. Information is also available on the Canadian immigration assessment and all the latest news on Jobs, permits, visas and processes. The benefits of immigration to Canada can be various and Canada is often chosen over other countries for immigration. Everybody knows about the free healthcare and the clean and beautiful landscapes. The quality of life overall is amazing, and that comes from living in such a great land. But what about all the small reasons why we would choose Canada to live. From Glaziers to beach or city life, we have it all on offer in Canada. The weather in Canada I so varied that you can access a range of activities that are dependent of the seasons. Vancouver offers some of the best skiing resorts in the world and during the summer season Toronto can reach temperatures of 30 degrees Celsius. This gives access to outdoor activities all year round.